IC-CAP is driven to improve our country’s intelligence and defense capabilities through technology and development of an enhanced analytical workforce. We focus on providing exceptional customer service and keeping our staff dedicated to our clients. We realize our staff is our greatest asset and we reward them through superior benefits, training and support. 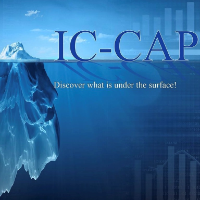 IC-CAP is a trusted HUBZone and Woman Owned small business focused on providing a niche blend of technology and analytical support services. We are building out an innovative Common Analytics Platform specifically designed for our customers.